He will immediately resume the role of club captain. Meanwhile, former Boro team-mate Gavin Cowan joins as player/coach. Both will bring much needed experience to the heart of the defence, as well as leadership both on and off the field. Birmingham-born, 6ft 2in Streete started his football career on the soccer development programme at Solihull College before moving on to Walsall, Derby County, Doncaster and Rotherham. 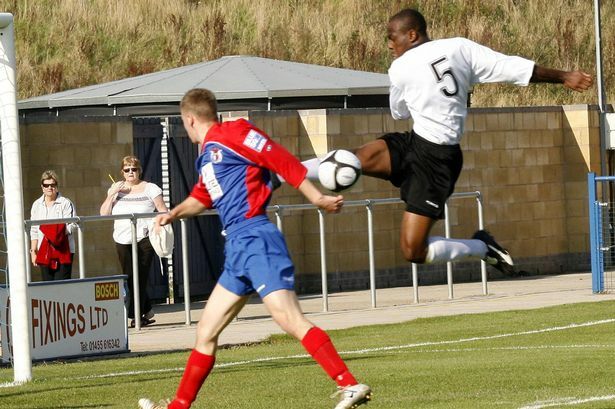 He spent three-and-a-half years with the Moors, making 141 starts as a no-nonsense battling defender. 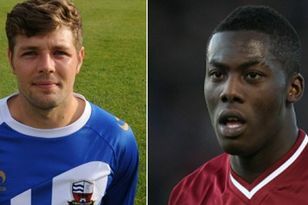 He was made club captain at the start of the 2010-11 season but was bought by Alfreton Town the following January, winning the Conference North title that season and helping them secure a 13th-place finish in the Conference Premier the following year. He made over 100 appearances for the Reds before leaving for fellow Premier side Nuneaton Town in the summer of 2013. He was an ever-present in the team during his two years at Nuneaton, as they finished 13th in 2014, before being relegated at the end of last season. The 6ft 4in Cowan was born in Hanover, Germany, and has been with Nuneaton for the past three years, having had two previous spells there. After beginning his career at Braintree and Canvey Island, he spent two years in the Football League with Shrewsbury Town before dropping out of full-time football to pursue coaching qualifications and study for a sports science degree. During this phase he played for Nuneaton, Telford and Gainsborough Trinity before rejoining Nuneaton in 2012 on their return to the Conference Premier. He now runs his own Football Academy and his role at the Moors will include being part of Marcus Bignot’s coaching staff.